The forest foragers of the Congo Basin, known collectively as "Pygmies," are the largest and most diverse group of active hunter-gatherers remaining in the world. At least fifteen different ethno-linguistic groups exist in the Congo Basin with a total population of 250,000 to 350,000 individuals. Extensive knowledge about these groups has accumulated in the last forty years, but readers have been forced to piece together what is known from many sources. French, Japanese, American, and British researchers have conducted the majority of the research; each national research group has its own academic traditions, history, and publications. Here, leading academic authorities from diverse national traditions summarize recent research on forest hunter-gatherers. The volume explores the diversity and uniformity of Congo Basin hunter-gatherer life by providing detailed but accessible overviews of recent research. It represents the first book in over twenty-five years to provide a comprehensive and holistic overview of African forest hunter-gatherers. 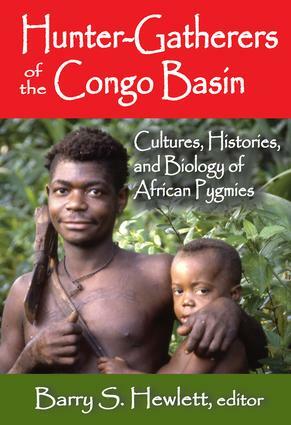 Chapters discuss the cultural variation in characteristic features of Congo Basin hunter-gatherer life, such as their yodeled polyphonic music, pronounced egalitarianism, multiple-child caregiving, and complex relations with neighboring farming groups. Other contributors address theoretical issues, such as why Pygmies are short, how tropical forest hunter-gatherers live without the carbohydrates they receive from neighboring farmers, and how hunter-gatherer children learn to share so extensively.